Pennsylvania’s initiative intended to respond to the realization among top state officials in Education, Behavioral Health, and Juvenile Justice. The following resources may be useful for parents, service providers or educators who are working with children or youth who are experiencing or have experienced trauma. The National Resource Center for Mental Health Promotion and Youth Violence Prevention offers resources and technical assistance to states, tribes, territories, and local communities to come together to promote well-being. We believe that with the right resources and support, states and local communities can collaborate to foster safe and healthy school and community environments that prevent youth violence and support the overall well-being of all children and youth, regardless of their ZIP code. Learn more about the services we can provide to states, tribes, territories, and local schools and communities. SAMHSA's Tips for Survivors: Coping with Grief After Community Violence revies the signs of grief and anger, provides information about how to cope with grief, and offers tips for helping children cope with grief. Visit SAMHSA's site to find this and other resources on dealing with truama and grief. Describes steps that local community leaders can take after civil unrest or a divisive community incident. They also include long-term strategies to take once the immediate crisis has passed, to address the underlying causes of the conflict. Gives stress prevention and management tips for dealing with the effects of trauma, mass violence, or terrorism. Lists tips to relieve stress, describes how to know when to seek professional help, and provides accompanying resources. The health and prosperity of our families, communities, and nation require an investment in the physical and emotional health of our young children. Nationwide, grantees are pioneering new ways to promote young child wellness through Project LAUNCH, a federal initiative funded by the Substance Abuse and Mental Health Services Administration (SAMHSA). 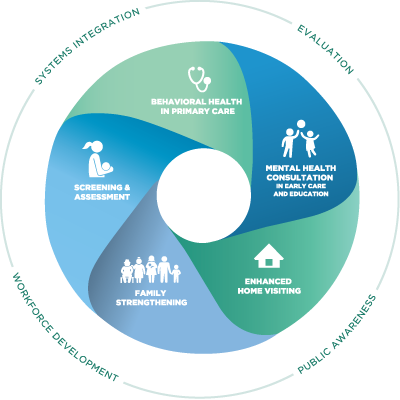 The purpose of Project LAUNCH (Linking Actions for Unmet Needs in Children‚Äôs Health) is to promote the wellness of young children from birth to 8 years by addressing the physical, social, emotional, cognitive, and behavioral aspects of their development. Since 1999, Safe Schools/Healthy Students (SS/HS) has provided programs and services to school districts across the United States. The core of SS/HS is the development of school and community partnerships that improve collaboration across community organizations to improve access to mental health services, decrease youth violence, and promote early intervention. 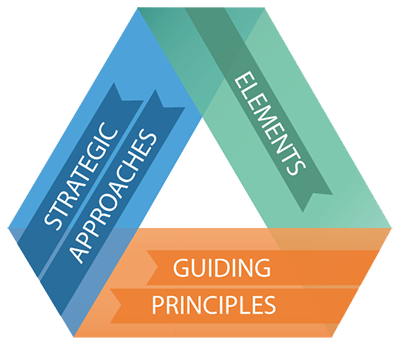 The new SS/HS program connects state policy and local implementation of policies and procedures to address youth violence and promote the well-being of children, youth, and families. It works with pilot local communities to create an integrated network of programs, activities, and policies to improve the lives of children, youth, and families.